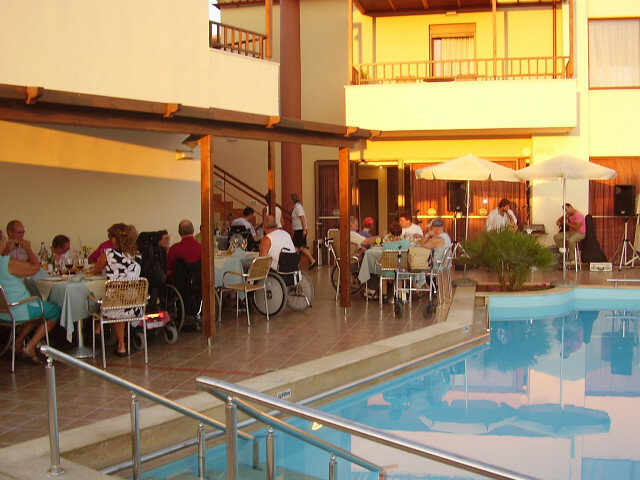 Eria Resort has been specially designed from scratch with disabled guests in mind in strict compliance with all current specifications for disabled access. 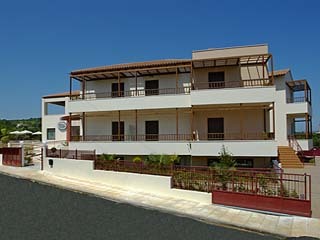 The Resort is located in the coastal and historic village of Maleme, the prefecture of Hania, Crete. 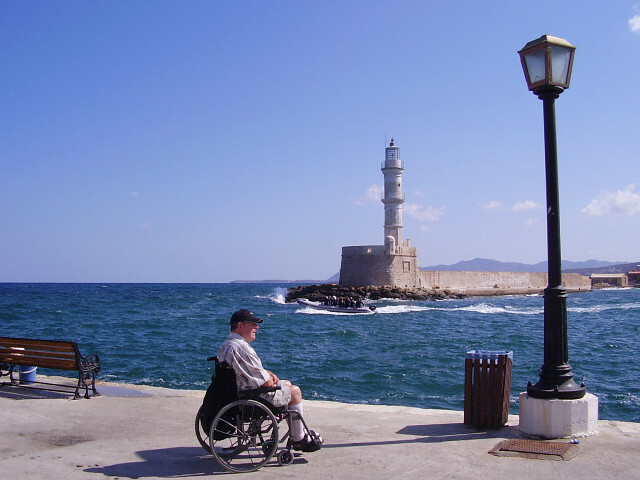 The area is easily accessible by wheelchair. 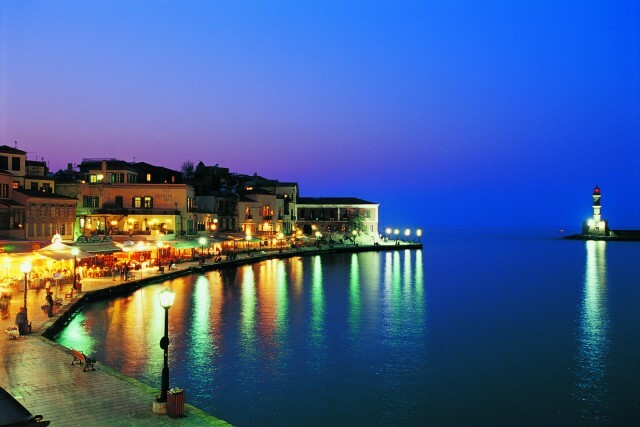 The landscape is renowned for its unparalleled natural beauty, as it combines the mountain and the sea harmoniously and is ideal for long walks to the traditional and hospitable village that is surrounded by olive and orange groves overlooking the endless Cretan blue sea! 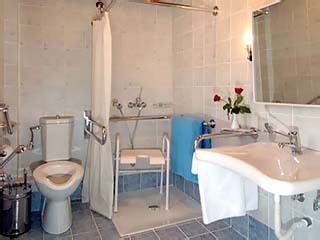 All the hotel facilities are fully accessible to people with disabilities. 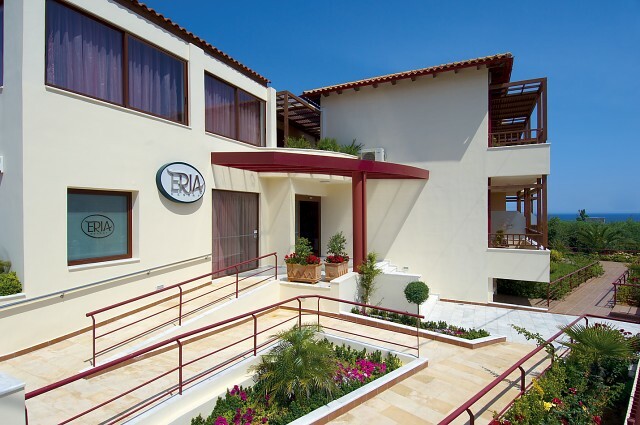 The fine furnishings and decoration of both the interior and exterior spaces of our Hotel, the high quality services and the hospitable, cosy environment of Eria Resort, guarantee a pleasant and comfortable stay for guests with accessibility needs, their families and/or escorts. 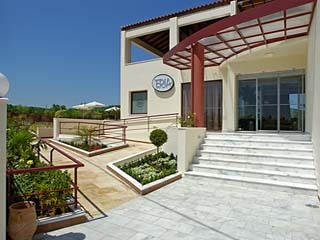 The reception desk is manned 24 hours a day in order to provide you with any kind of information and assistance and make your stay in Hania a unique experience. An interdisciplinary team of physicians will be at your disposal when you need them. For more information please ask at the reception desk. We cooperate with a private clinic, where you may conduct your weekly check-ups or any other required examination. 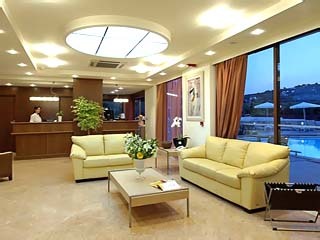 A new hemodialysis clinic is at your disposal, situated at a distance of 18 kilometres from the Hotel. If you wish to hire a nurse or a caregiver on a daily basis, please contact the Reservation Department of the Hotel. 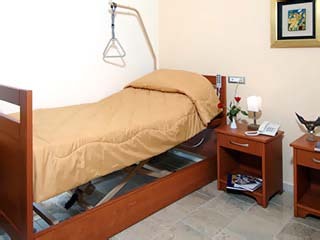 For your prompt service, confirm your schedule with the nurse/caregiver, when reserving your room with us. 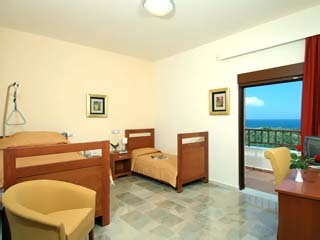 Our Hotel collaborates with the Μedical Shops and enables you to rent equipment. 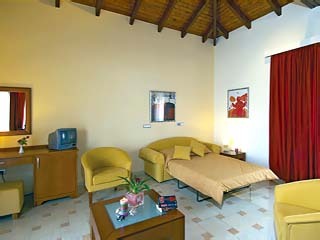 There is much to do in and around Eria Resort that you won't be bored for a moment. Have fun in our large swimming pool featuring a sloping ramp for easy way in and out. Relax and enjoy the sun and a cool cocktail in the swimming pool hydro-massage. Collect your swimming pool towels from the reception desk. 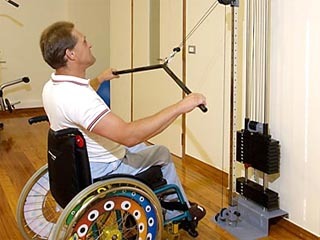 In a fully equipped, pleasant and functional space you can conduct your physiotherapy sessions. 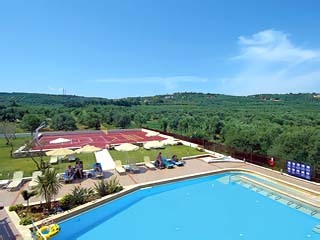 Physiotherapy sessions can also take place at the swimming pool. Ask at the reception about the schedule and/or offers and book your appointment. 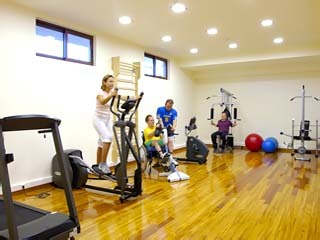 In our organized gym more than 15 activities are staged, most of which are suitable for wheelchair users. Our specialised personnel offers aerobic and yoga sessions on a weekly basis. 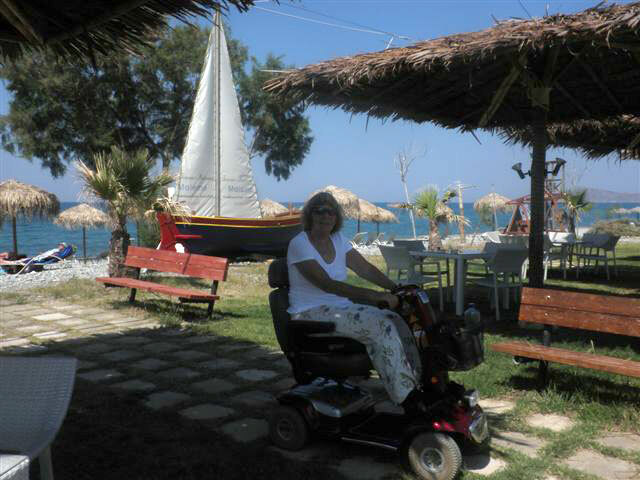 There are wheelchairs suitable for participation in any desirable sport activity. 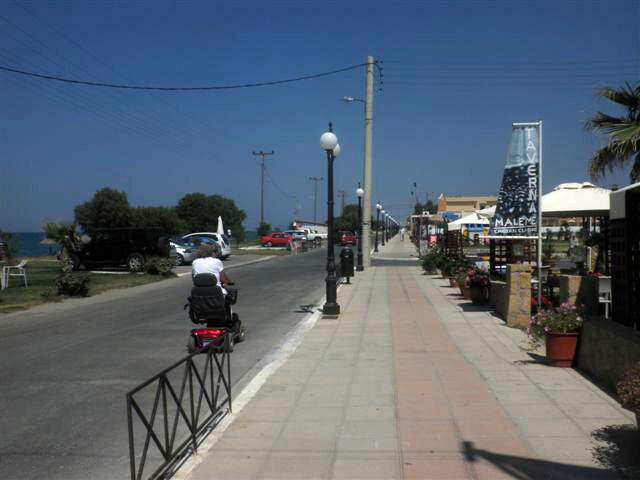 The area around the Resort is flat and ideal for pleasant strolls, as well as jogging. 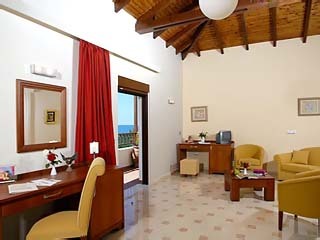 The sea can be found at a distance of 250 to 700 metres from the Hotel. The path leading to it is also accessible and suitable for family walks. 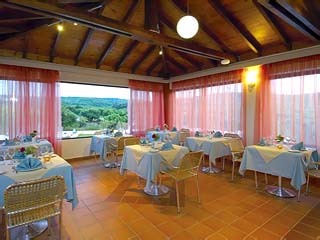 The stylishly decorated bar and restaurant of ERIA RESORT are beautifully located near the lounge and the swimming pool. 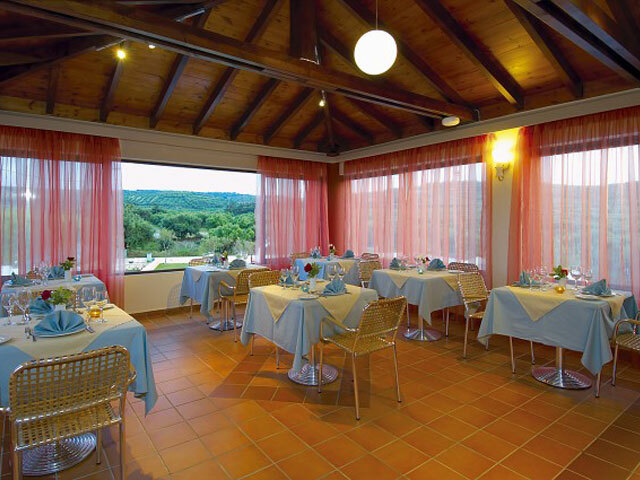 On the first floor there is an additional indoor restaurant with a lovely view to the sea and the surrounding olive groves. 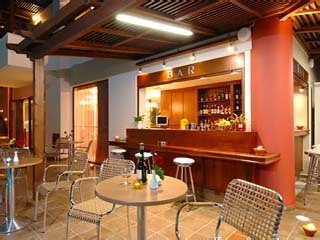 The bar next to the pool is at your disposal 24 hours a day! Enjoy the rich tastes of Greek cuisine and choose from a variety of light snacks, desserts, fresh juices and refreshing cocktails! Ask about the dishes and sweets of the day! Open from morning until late at night. Our goal is to provide you with delicious, freshly cooked, homemade food! Faithful to the famous Cretan cuisine standards, we make exclusive use of olive oil, local products and always fresh vegetables and fruits! Inform us about your dietary restrictions or preferences prior to your arrival. Even if you are vegetarian, diabetic, or allergic to specific food, we will still strive to meet your requirements. 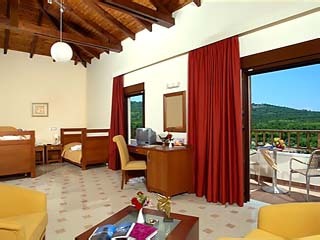 Bear in mind that if your reservation includes half board, you will be able to take advantage of our special offers. Lunch, 12.00 am-18.00 pm. Ask for the dishes and the sweets of the day. Dinner buffet, 19.00 pm-21.30 pm. In addition, you can order a dish from our menu or the dish of the day. Room service at your disposal around the clock with light snacks and beverages. 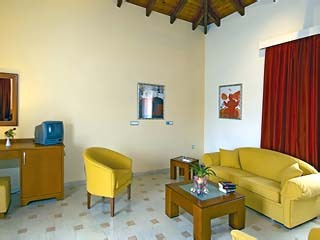 Ηalf board guests may exchange their dinner with launch after having notified the reception desk on the previous day. 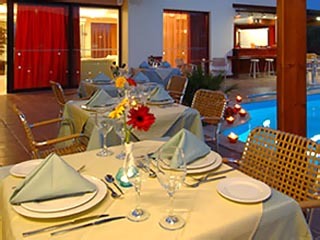 If you arrive late at our Hotel, we would be glad to serve you a cold dish of your choice. 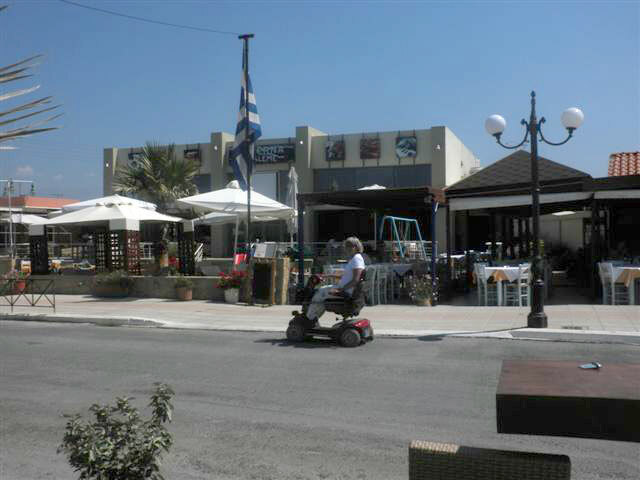 Free participation in our weekly events with music and various menus. Free participation and entertainment at the Greek theme nights with live music, folklore dancing and of course delicious Cretan and Greek cuisine! 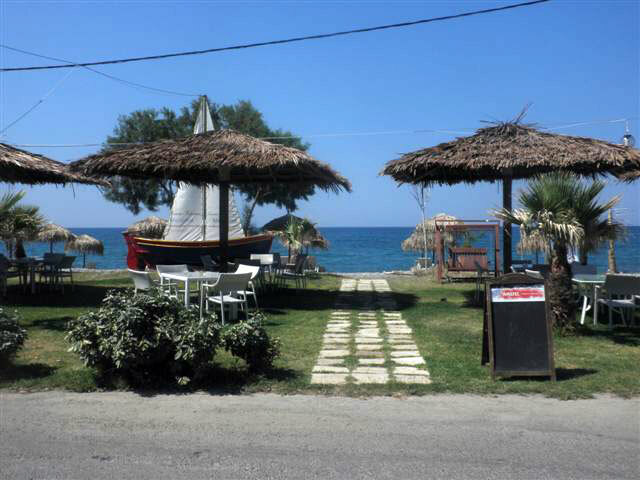 Eria Resort is located in the coastal and historical village of Maleme, in the north-western part of the prefecture of Hania. 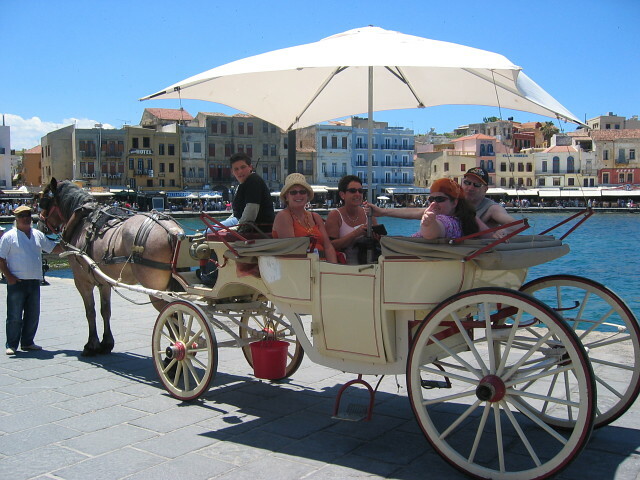 The privileged position of Maleme and its direct access to the highway connecting Hania-Rethimno and Chania-Kastelli enables you to easily access the entire prefecture of Hania, as well as the rest of Crete. 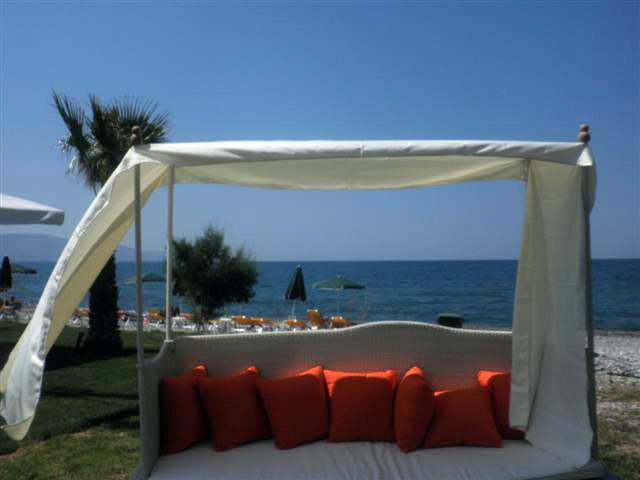 Open: April - November... Eria Resort is located near the historic village of Maleme, in an area of unique natural beauty, surrounded by olive groves and has an unobstructed view of the cretan sea.